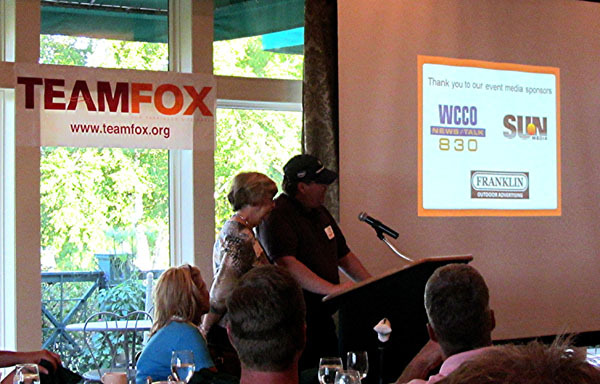 My co-worker, Jay Erickson, and his family put on an awesome golf tournament each summer at the Minneapolis Country Club as a Fundraiser for Team Fox and the fight against Parkinson's Disease. They really do an incredible job and I was pleased to have the opportunity to participate in it again this year. Sadly for me, I threw my back out of whack a couple nights before the event, so I didn't actually play more than a few holes of golf. 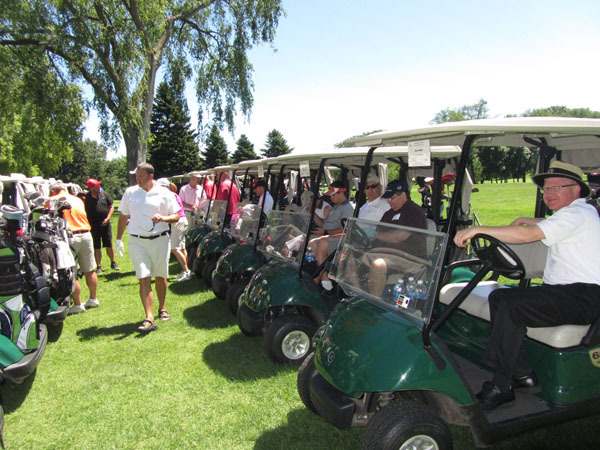 But I did spend a lot of time driving the cart which I thought was pretty fun as well. 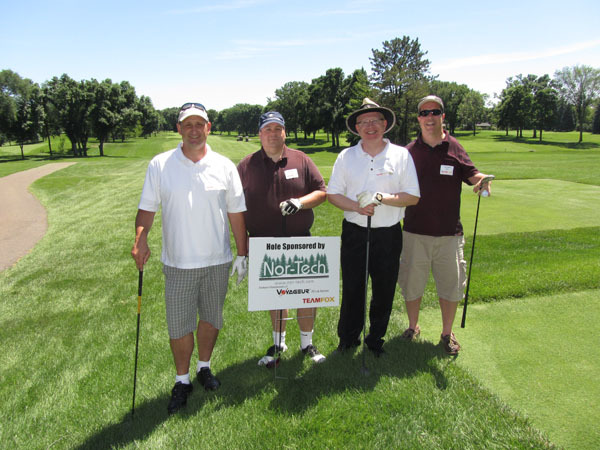 Nor-Tech sponsored a hole. Dr. Bollig sure is a generous guy! 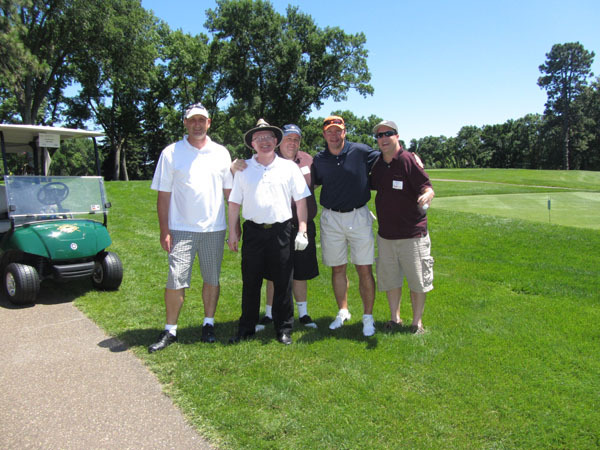 It was a Celebrity Golf Tournament and we were lucky enough to play with Tom Chorske. He played in the NHL from 1989 - 2001. Since I'm not much of a hockey fan, I had never heard of him before the tournament. But man that guy sure could whack a golf ball! I may not know much about hockey, but I sure am fascinated with celebrities. I followed Tom around most of the day taking his pictures and after about the 15th hole, I eventually worked up the nerve to ask Tom if we could be Best Friends. He just kind of smiled at me and didn't answer, but I'm confident he's still considering it. 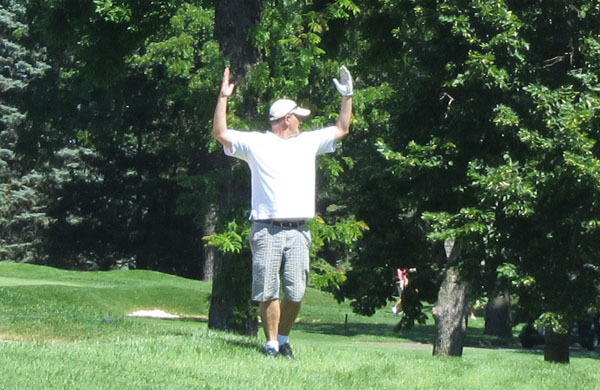 All my co-workers were doing phenomenal on the course, but Dr. Bollig really impressed me with his powerful shots. 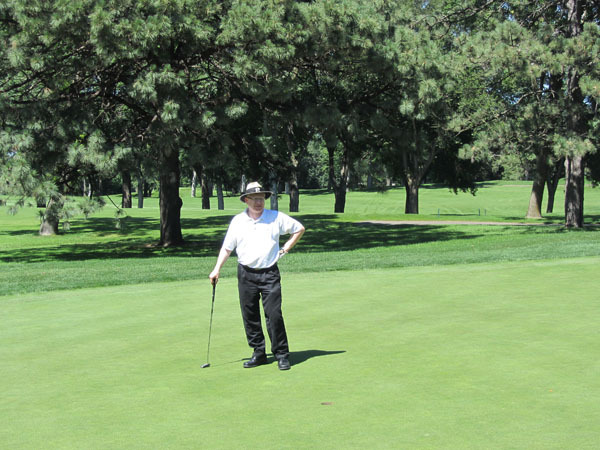 He insists that he hadn't played Golf since last year's tournament, but I know he's lying. He must have been sneak practicing several times a week for months judging by the way he was playing. 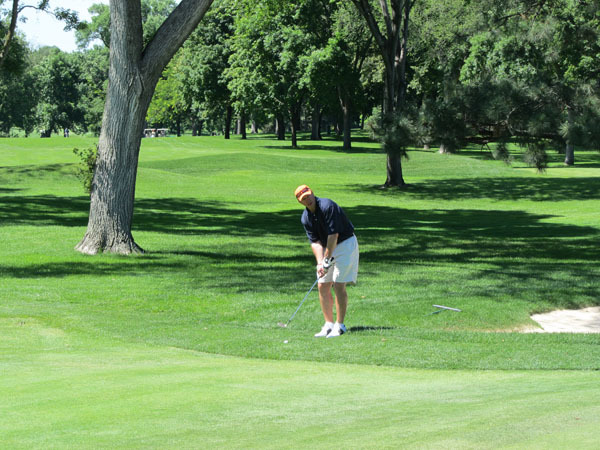 Bob Dreis was also playing incredible golf. I think he would have done even better had he not been trying to master the Shortarmguy Pose for much of the day. After the game, I was pleasantly surprised when I met Wally the Beerman in the parking lot. 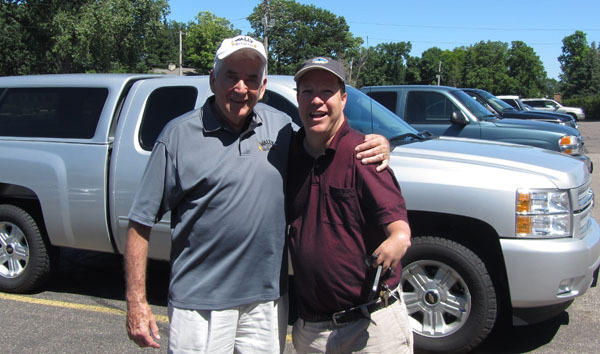 I told him how sad I was that I didn't get to play much golf that day because I hurt my back. I then asked him if he could just hold me for awhile until I started to feel better. He's such a nice guy, he was happy to oblige.